Not up to the long hours the life of a professional baker demands? Ottawa's Rideau Bakery shares an egg bread recipe you can try at home. Rideau Bakery is on the hunt for a few good men and women who are ready to rise to the occasion — at an extremely early hour. The iconic Ottawa bakery is hoping to hire people with at least two years' experience who can work well both with a team and on their own. But as All In A Day host Alan Neal found out when he stopped by earlier this week, finding skilled bakers with the right attitude is tricky these days. "They're not really geared for a scratch-type bakery per se, the way we are," co-owner Louis Kardish told Neal. "Or if they are, they're not ready for the size of volume we're doing." 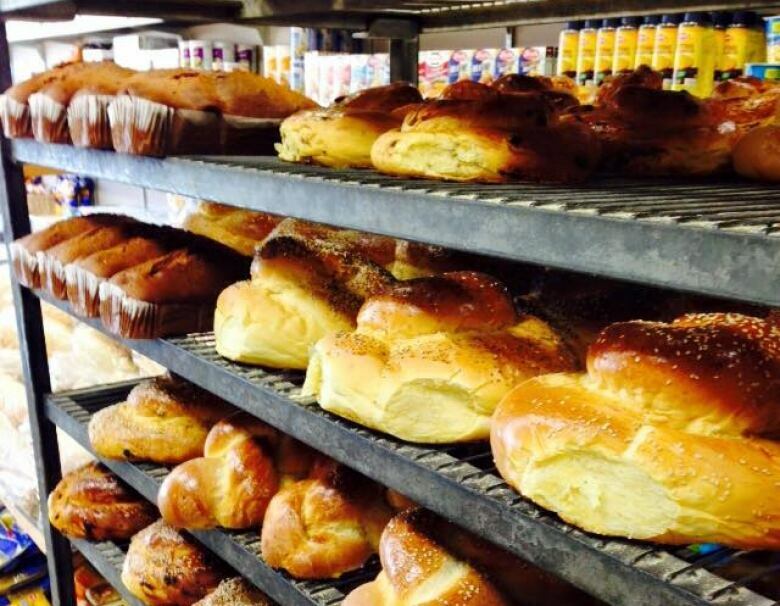 According to Kardish, many bakers these days merely heat up frozen dough in chain stores. If their skills do extend beyond "thaw and bake," they're often unwilling to work the long hours a job at Rideau Bakery demands, he said. "We have to start at midnight in order to have the bread ready to be able to go in to our stores, or to be shipped to the various chain stores in the morning. So it's tough. It's six days a week." Rideau Bakery baker Louis Kardash — different guy — said the resurgence of interest in artisanal baking is refreshing. "A lot of that started with Tartine Bakery in San Francisco becoming so popular and everybody embracing true sourdough bread and the science behind it," Kardash said. "But it's hard to find [the right workers]. We need 10 guys at a time that want to do it." Kardish and Kardash have shared an easy-to-make variation on their bakery's vaunted egg breads and braided challah that you can try making at home — any time of day. Mix the starter ingredients together and let sit for 45 minutes. Mix the starter with the rest of the ingredients, aside from the egg set aside for the egg wash, and knead dough until no longer sticky (about seven minutes). Let the dough sit for about an hour, or until it doubles in size. Shape or braid the dough as you wish. Coat the top of the dough with the egg wash, mixed with a little bit of water. If you want, sprinkle sesame seeds or poppy seeds on top of the dough.